Lasertec is a stencil manufacturing company in the industry since more then 16 years. 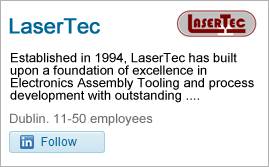 Established in 1994, LaserTec is the leading supplier of precision SMT stencils and tooling products. Our ability to understand our customers needs combined with significant investment in state of the art Laser, CNC and CAD/CAM technology makes LaserTec the supplier of choice for the majority of electronics assembly companies. LaserTec is unique in the industry by providing its customers with a comprehensive range of products from laser-cut stencils, squeegee blades and holders, precision pallets and tooling products to high resolution inspection templates. All these products are produced from the same data source supplying our customers with the most effective and innovative solutions for SMT, Solderwave, Pressfit, assembly and other speciality applications. Lasertec have made stencils for many years and many clients including; Motorola, Apple, IBM, Kingston, General Electric, Kostal, Celestica, Flextronics, Solectron to name a few. Lasertec manufactures all stencil geometries. Lasertec can achieve electroform standards using new laser and UFP material technologies. Lasertec is an ISO9002/2009 company and works to international standards. Also we can design to IPC7525A, your guidelines or our Lasertec guidelines. We have 100% inspection and post laser scanning to verify CAD/CAM. We also design using automatic scripting techniques to reduce the opportunity for operator error. Lasertec carries some SMT consumables to compliment its offerings. Notably solder paste from Shenmao, stencil cleaning technologies from Petroferm and BLU wipes, BLU solder masking high temperature dots and tape. BLU SMT splicing kits for high volume SMT lines. For a more detailed analyis of your requirement please contact LaserTec directly . • Al Stainless steel thickness are available from 100um to 250um . 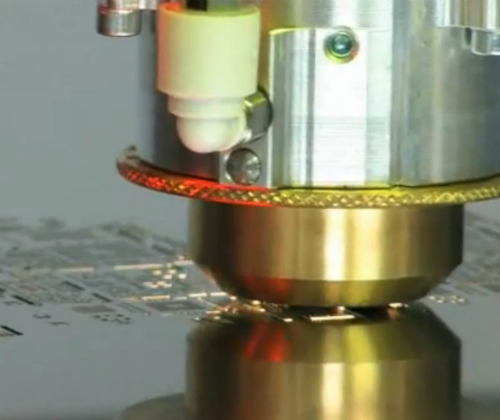 We manufacture precision Laser SMT Stencils for accurate and repeatable Solder Paste Printing. When selecting the foil for your stencils we only source for the highest quality partners. As standard we offer 304 Stainless rolled foil. Lasertec UFP saves time and money, and delivers significant benefits in comparison with 300 series stainless steel stencil. UFP ensures a smaller grain size, better energy absorbtion and a uniform grain structure after cut. Lasertec provide a range of printing tool from squeegee blades/holders to PCB Clamps and SMT Micro Stencils. With a full array of rework SMT Micro Stencils and Solder Paste printing applications we want to help operators take control of their rework needs. 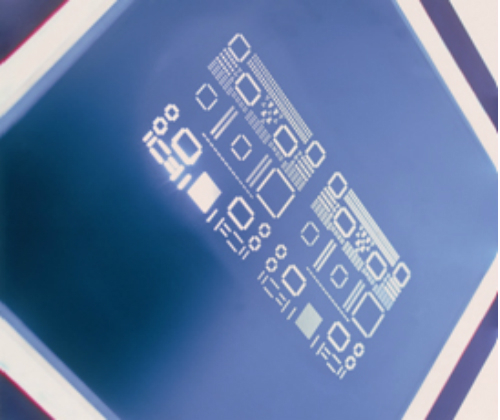 LaserTec offers a complete range of precision laser stainless steel micro stencils allowing for the accurate and precise volume deposition of solder paste to the circuit board pads for reworking BGAs. BLU provides cleaning wipes, slicing tapes and high temperature polyimide tapes, dispense mask and SMT related consumables.Lasertec also provide custom SMT Micro stencil and solder paste.